KANSAS CITY, KAN. ----- Congratulations goes out to some outstanding wrestlers in Wyandotte County. This year featured some outstanding wrestlers, including 5th place state finisher P.J. 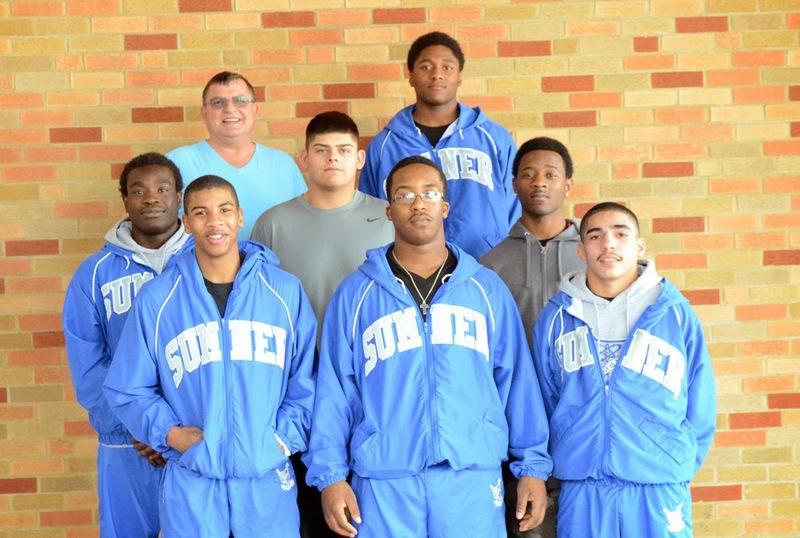 Cheney of Turner, 3rd place state finishers Emmanuel Browne of Sumner Academy and D.J. Ballard of Bonner Springs, and 1st place finishers Donte Boose and Josiah Seaton. Josiah Seaton put a capstone on his senior year by finishing undefeated throughout the year at the 113 lb weight class, earning him wrestler of the year honors. Both Josiah Seaton and Donte Boose represented the Kansas team for the 2014 Metro Classic. The coach of the year was Frank Gonzalez of Sumner Academy. Included below is the first team, second team, and honorable mentions at each weight class for the all Wyandotte County team selections as decided by the coaching staffs in the area.